The SOS Children's Village in Francistown is located in the suburban area of Francistown, which, with approximately 60,000 inhabitants, is the second largest city of Botwana. The houses were built in a simple way and their style is adapted to local traditions. 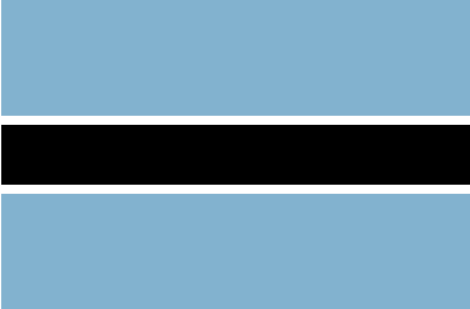 The site was made available to SOS Children's Villages by the government of Botswana. On 17 March 1999, the SOS Children's Village Francistown was officially opened in the presence of Princess Benedikte of Denmark and her husband Prince Richard, Minister Kwelagobe of Botswana and many other honorary guests. When the SOS Children's Village Francistown was opened in 1999, it consisted of fifteen family houses, and in 2004 an additional family house was erected. Today, the SOS Children's Village Francistown comprises not only sixteen family houses, but also an administration area, a small clinic and a multipurpose hall, and houses for the village director and the SOS aunts (who support the SOS mothers and take care of the children when the mothers are on leave). The SOS Kindergarten on the same premises has been in operation since September 1998 and has a capacity for 100 children, who are looked after in four group rooms. A kitchen and playground also belong to the SOS Kindergarten. In 2004, an SOS Youth Facility consisting of two houses was opened, where up to thirty youths can stay during their vocational training or further education and prepare for becoming independent. Since the establishment of the SOS Children's Village in Francistown, an increasing number of children have found a new home there and can live in peace in their family houses surrounded by large, shady trees.